According to family counsellor Pearl Ramotsamai, the issue of papgeld remains prevalent within our society for several reasons. Child maintenance – or papgeld to many South Africans – has been a hot topic these past few years. And now things have become heated once again after actress and local entertainer Ntando Duma last week accused ex-bae Junior De Rocka – who is the father to her one-year-old daughter – of not paying child support. “If the parents are no longer together they tend to want to forget about their past relationship and the child serves as a constant reminder,” she explains. We asked our Twitter followers what amount they thought would be sufficient for child maintenance per month. Out of 970 votes, 11% thought R500-R1 000 was enough per child per month, 30% said R1 000-R3 000 per child would suffice, another 30% voted between R3 000 and R5 000, and the last 29% said R5 000+. How much do you think is enough for child maintenance per month? Whether or not a couple was married when they had their child, it’s important for the father to financially support his offspring, Ramotsamai says. We asked our Twitter followers whether they thought paying child support makes someone a father. 75% voted “no” while the remaining 25% voted “yes”. Does paying papgeld make you a parent? “Paying child maintenance doesn’t necessarily make you a parent,” Ramotsamai stresses. While Ramotsamai says parents who aren’t receiving child support from their partners could seek legal action, she does advise that being civil is much simpler. “They should just go to the mediators or to a family advocate office and they will draw up a parenting plan,” she says. Ramotsamai emphasises the importance of both parents resolving their issues without involving their child. “It is important that the mother, for example, doesn’t paint the father in a bad light to his child. Granted that he cannot sustain his child, however, the fact remains that he is still the father,” she explains. “In the long-run, when a child is exposed to their parents’ financial quarrels, they start to blame themselves. They start to think of things like, ‘Maybe if I wasn’t born my parents would still be together’. We decided to ask social-media users one final question. This time we wanted to know if they had any experience with deadbeat parents. Of the 140 people who voted, more than half responded “yes”. 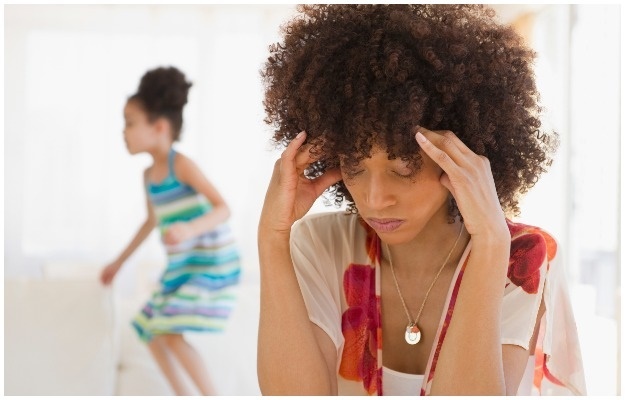 Have you ever been in a situation whereby you are faced with a deadbeat mom/dad? DM us, your identity will remain anonymous? I think a deadbeat mom or dad is a parent who believes in sending a few rands every now and then to the people raising their kids for them but they don't make time for their children at all. I think a deadbeat mom or dad is a parent who doesn’t deny the child is theirs but doesn't provide for them. This is the kind of parent you have to drag to court in order for them to maintain their own kids. In most instances this parent doesn’t know the shoe size, what the child likes/dislikes, doesn't remember birthdays or what school their children are in. I have a six-year-old son whose dad does absolutely nothing for him. I’ve asked him to meet me halfway on numerous occasions but it’s promises all the time and he never sends anything. I recently asked him to come get the child to go shopping with him in case he thinks I will spend the child support money on myself, even then he didn’t budge. So, as it stands, I’ve filed for maintenance but every time he’s served with the papers he refuses to sign them. I have an 11-year-old daughter. When she was on the way, damages (paid to the woman’s family if she has a child out of wedlock) were requested by my family to be paid by the father. Her father claimed that since he was from Johannesburg, they weren't that particular about culture like my family is. At the time I was still a temporary educator, he was still studying in KwaZulu-Natal and I'd organised a four-month substitutional teaching post for him. He worked through that monthly period, but as soon as he got paid he took off and went to spend the money with his mother. To this day, he barely provides for his daughter. His daughter is turning 12 this year and he claims he has no work. When he did I found out through the grapevine that he was earning around R17 000 a month. Thereafter I got the courts involved, he said he would maintain the child with R500 although the court awarded the child R1 500 – later that year he stopped working. From that day on, he has barely been maintaining his child. He constantly comes up with every excuse under the sun as to why he falls short as a father. What's worse is that I let him speak to the child whom he constantly has empty promises for. *Names have been changed to protect the identities of individuals.